In addition to the beautiful path of peace, prayer and pilgrimage, Eve sees the labyrinth as a blueprint of us as human beings. We all have a sacred soul center surrounded by the seeming chaos of the twists and turns of the ego mind. 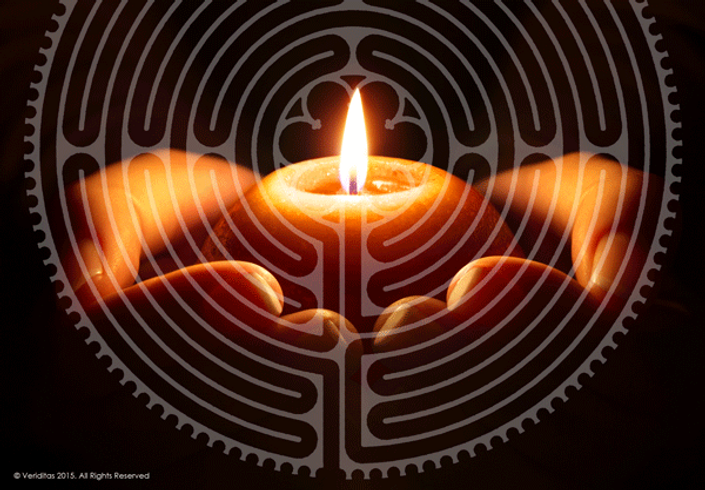 The labyrinth is the perfect place to practice what she calls Six Essential Life Skills for recalibrating with our souls, and thus finding SOUL-utions to life's challenges. For almost 20 years, Eve has led monthly full moon labyrinth walks on Maui. She performs labyrinth weddings, utilizes the labyrinth with retreat groups, leads labyrinth walks with teens in a conference setting and has two labyrinths open to the public daily. She is the author of "Way of the Winding Path: A Map for the Labyrinth of Life" and facilitates the labyrinth for creating healthier relationships—with others, ourselves and with Spirit. Some of her clients include CEO Space, PSI Seminars, Child Protective Services, Motivating the Teen Spirit, Vintacom Media Group, Rancho La Puerta Spa, Golden Door Spa, Four Seasons Resort, Penn State University, Unity Church, Church of Religious Science, Lutheran and Episocopal Churches, Vedanta Society of Southern California, Montesori and Waldorf Schools and public school districts in both California and Hawaii. Eve is the founding Instructor of the Teen Feast Program at CEO Space and continues to serve as the instructor of this entrepreneurial preparation program for teens and young adults.